With the L-3000 voices and instruments are transparent and sound as if they are right in the room with you. They are articulate, tightly focused, with fast transient, but never etched-sounding. This line stage has an uncanny way of keeping voices and instruments in their place even as they go up and down in frequency. That same coherency makes it easy to tell whether you are listening to cellos or basses, violas or violins. With such outstanding coherency and tonality, instruments sound like themselves, producing beautiful music right there in the room. In the midrange, it is easy to hear small differences in voices, and breathing and instruments have rich harmonic structure. I’m glad to say that it plays voices with that same “scary realism” I hear with Shindo and Wavac gear. Simply put, the midrange of the Allnic is pure magic. The treble of the L-3000 is best described with words like pretty, beautiful or gorgeous, but for audiophile I’ll also say it sounds fluid, sweet, and has lots of presence. The overall sound of the midrange and treble is fast, clear, and ever so slightly on the lean side of neutral, but for most speakers that will be a blessing. Well, combined with the L-3000 this is still true; but a little different from the sound when using the H-3000 with the Shindo Masseto’s linestage. The L-3000 plays the tightest bass I have ever heard from a tube or solid-state preamp in my system. It also has plenty of air, life, and decay. The deep bass is exceptionally powerful and has great impact. The upper bass and lower midrange tends to be slightly on the lean side. Bass string instruments, including the bottom-end of the piano, have great attack and impact. By comparison to most preamps they have better-than-average decay and air. 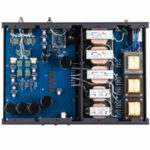 The Allnic linestage, combined with the H-3000 phono preamp, does not have quite the decay, air, and layering of the Shindo Masseto/Allnic H-3000 phono preamp combo. Which combo you prefer will be a matter of taste and system matching, not a matter of quality, because both the Shindo and the Allnic linestages are truly world-class. I know that many audiophiles and reviewers say that a piece of equipment can’t have pace, rhythm, or timing; but you know by now that I feel those are qualities of the performance that is necessary for the listener to hear and feel the essence of the music. Admitting that truth, it seems obvious to me that some equipment allows PRaT to flow into my room much easier than others. This is an area where the L-3000 excels, which brings real excitement to the musical experience. Let’s look at the same Lps I talked about in the H-3000 phono preamp review; starting with one of my favorite Lps. My favorite cut on this incredible Lp is Wasserman and Jennifer Warnes’ version of “Ballad of the Runaway Horse.” With the L-3000, her voice sounds just as believable and full of emotion. If anything, you could hear more detail than before. It was simply beautiful. The cut “Angel Eyes” with Cheryl Bentyne is another great cut. Wasserman’s playing of the bass sounds incredible with the H-3000, but it’s Bentyne’s voice that really comes to life. The last cut on this album, I would like to mention, is the beautiful rendition of “Over the Rainbow” by Stephane Grappeli on violin and Rob Wasserman on bass. The combination of speed, sweetness, and air lets you hear the music very much like a real performance. The L-3000/H-3000 does this very well indeed. This Flying Fish album with Norman Blake, Tut Taylor, Sam Bush, Butch Robins, Vassar Clements, David Holland, and Jethro Burns is DAWG music at its best. The cuts ‘Sweet Georgia Brown’ and ‘Sauerkraut and Solar Energy’ sounded the best I’ve heard when played through the Shindo Masseto/H-3000 combo. This is demanding music that requires great attack and decay if it is truly to come to life. The L-3000 does this just as well, but differently. On my reference system it is slightly lean, but on my upstairs system it seemed more correct. I think this illustrates how good both of these combos are. There’s no way I could write this review and not talk about how the Allnic L-3000 and H-3000 sounds compared to my new reference, the Shindo Giscours preamp. In my review of the H-3000 comparing it to the Shindo Masseto I said, “As good as they both are they do sound different. I didn’t say very different but you won’t have any trouble hearing the difference.” Well, with the L-3000/H-3000 compared to the Shindo Giscours the differences are a little more obvious, but along the same line. First, maybe the easiest to describe it is that the Shindo Giscours has a weightier, more layered and more textured sound than the Allnic combo in the mid-bass up through the range of female vocals. Second, there is still a clear difference in how they handle space. The Allnic combo simply is more impressive here. It has this really remarkable, quiet background. It is also both beautiful sounding and very transparent. This allows you to hear the air and space in and around individual instruments and singer in an uncanny way. Space with the Shindo Giscours, even more than the Masseto, is denser and more textured. I don’t think it’s easy to say which is more correct, in fact it depends on the type of music you are listening to and your personal taste, but I have to admit that I think most people will be blown away by the soundstage of the Allnic combo. The Allnic L-3000 linestage is without a doubt one of the very best in the world. If you are in the market for a linestage in this price range the Allnic L-3000 should be on your very short list. 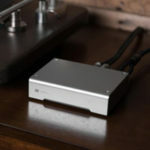 “Thanks Jack, for the in-depth reviews of the Allnic Audio Labs H3000 and L3000 phono and line stages. A few comments I’d like to pass on to your readers. Hammertone Audio now distributes for Allnic Audio Labs worldwide. After marketing both units as reviewed for past 5 years, in September 2010, H3000 and L3000 are now produced with a higher performance Nickel Core output transformer system. The price of both units have risen to $11,900 (H3000) and $10,900 (L3000) respectively. 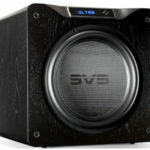 The sonic differences of the upgrade lends improved dynamics, greater bandwidth, more weight, (especially in the midbass) with a sense of unbridled energy lurking in reserve. 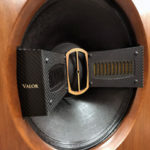 In every case reported, this improvement has pushed the product line towards Kang Su Park’s ultimate desire of “World’s best offerings, allowing you to listen deeply into the music”. These upgrades are available to current L3000 and H3000 owners, contact your dealer for details. For the first time in North America, Allnic will be at a show. Please visit RMAF rooms with Xact Audio and TTWeights for auditioning. Thanks again, Jack and Constantine, for the well penned reviews of our products”.